Lips white wedding sunglasses make one suitable token for wedding because it aptly wraps the spirit of the white wedding. This wedding sunglass can be considered for gifting prior to the wedding event or during wedding party and it is the best way to remind young people about their participation in the event. We receive huge orders of these wedding sunglasses from couples who wish to gift away happy styles to their friends. This white sunglass possesses large face- value and stands good chance of retention by wedding guests. 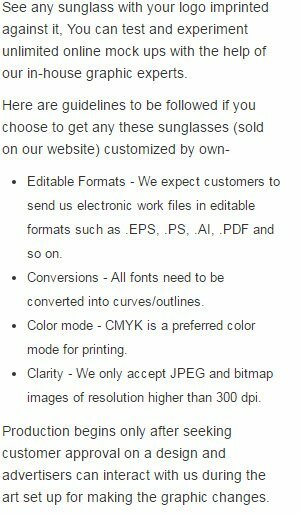 We offer hefty discounts on bulk orders of these wedding sunglasses. Highlights –4 -Color process highlight. Lips imprints. White sunglass frames.